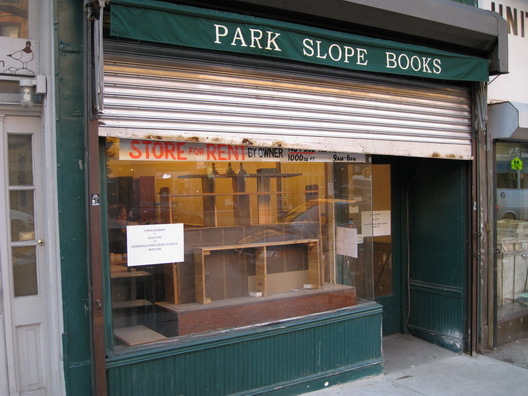 Park Slope Books on Seventh Avenue, which is the second bookstore to shut down on the block between Second and Third Streets, is done. The lights were still on yesterday, but the store had been emptied. It is reopening on Montague Street. The "for rent" sign is still in the window.